John Verrall Interview with Bruce Duffie . 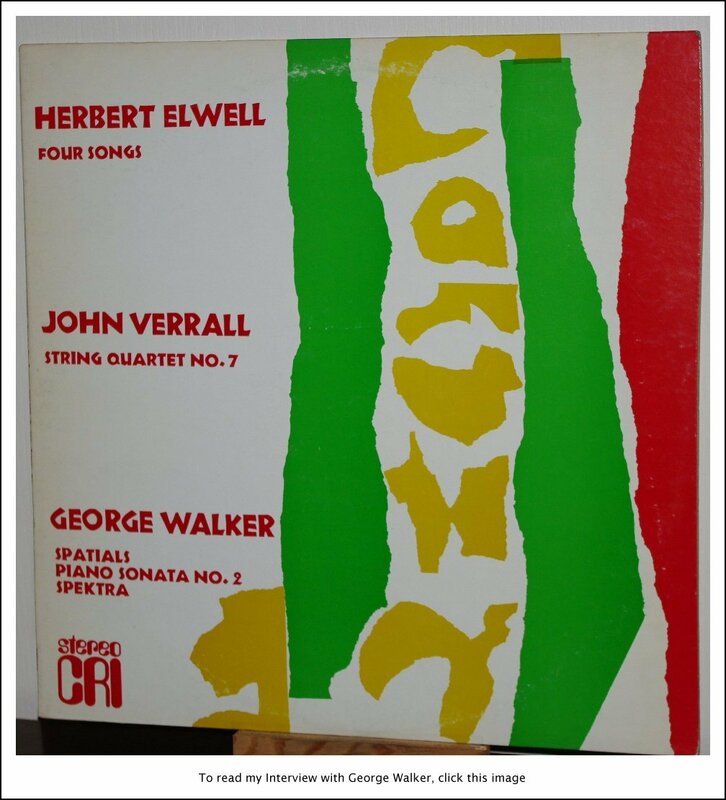 . . . . . . . .
John Weedon Verrall (born Britt, Iowa, June 17, 1908; died April 15, 2001) was an American composer of contemporary classical music. From the late 1940s, Verrall used as the tonal basis for his music a nine-pitch scale consisting of two tetrachords on either side of a central pitch, itself alterable (C–D–E–E, F or F, G–A–B–B). This collection lends itself to symmetrical harmonic formations and melodic contours which, with equivalent rhythmic and metrical formations, generate the global and local pitch and rhythmic relations in his music. 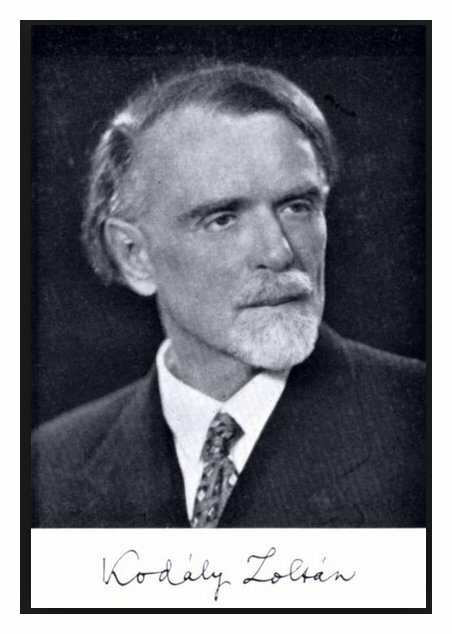 Verrall wrote numerous symphonic works and chamber music pieces including four symphonies, seven string quartets, a violin concerto, and a viola concerto, among many other works. He also wrote several vocal art songs, choral works, and three operas. The John Verrall Papers are held by the Special Collections department of the University of Washington Libraries. The musical legacy of composer John Verrall, who taught composition and music theory at the University of Washington for 25 years, was constrained only by his humility. "He knew his own worth but did not want to capitalize on it," said John Kunz, a friend for more than 30 years. "This was a quiet man who could relax because he knew what he had done." Mr. Verrall died of congestive heart failure at his Laurelhurst home Sunday at age 92. With his death, the Verrall catalog of symphonies and concertos could become accessible to classical-music lovers beyond the circle of composers, musicians and students who have revered his talents for years. William Bolcom, who won the Pulitzer Prize for music in 1988 and studied under Mr. Verrall, wants the world to become acquainted with Verrall scores through a retrospective on compact disc, said Robin McCabe, director of the UW School of Music. 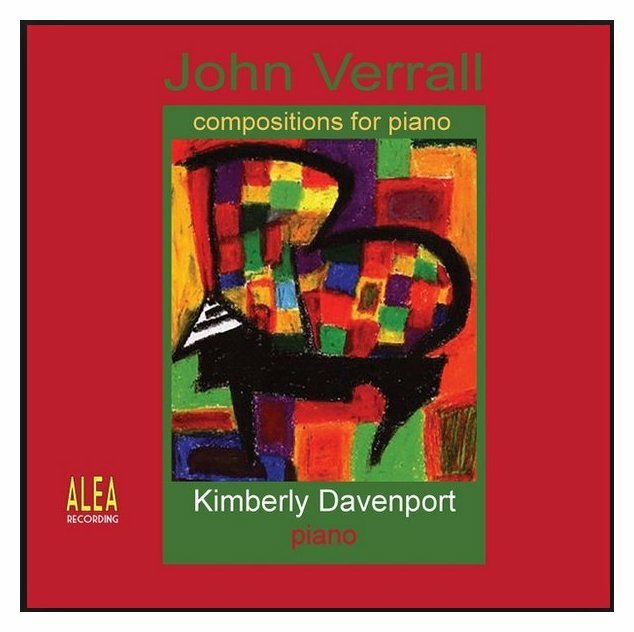 Born in Iowa, Mr. Verrall experienced his musical baptism at the piano at a young age. At 12, a brush with greatness set him on his career course. He attended a concert by Rachmaninoff and was allowed to meet the Russian composer. The youngster handed the master a musical score he had written. "Rachmaninoff was so impressed that he contacted some senior people at the University of Chicago and that led to him being able to take correspondence lessons in musical composition," Kunz said. 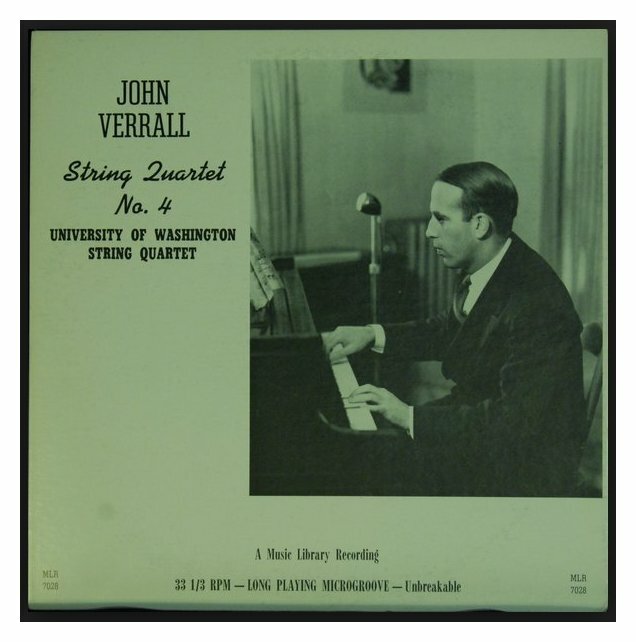 Mr. Verrall obtained a bachelor's degree in music from the Minneapolis College of Music in 1929 and a bachelor of arts from the University of Minnesota in 1934. One of his first jobs was as an usher during performances of the Minneapolis Symphony, which permitted him to attend each concert. Dmitri Mitropolous, the legendary conductor of the Minneapolis Symphony, took an interest in Mr. Verrall, and the orchestra performed his compositions. Kunz said Mitropolous pledged to Mr. Verrall that the symphony would perform anything he wrote. Vilem Sokol, a UW music professor emeritus and former conductor of the Seattle Youth Symphony, said Mr. Verrall liked to regale his colleagues with stories about Mitropolous. "He said he would give Mitropolous one of his scores and he would leaf through it page by page, spending about five or 10 seconds on each page," Sokol recalled. "Then when Mitropolous got to the end, he would say, `Jack, back on page 34 the tuba was in the wrong register' or something like that." 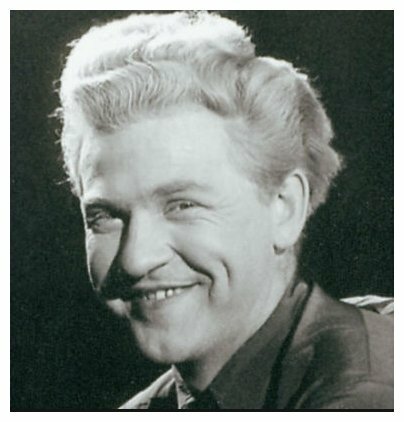 Mr. Verrall charmed people not only through his music, but also his winning personality, Sokol said. "It really says something that his compositions appealed to someone like Mitropolous, who was always promoting very contemporary works," he said. "Jack's works had a contemporary feel to them, but they were in no way ultracontemporary." Mr. Verrall studied under American composer Aaron Copland in New York at the Berkshire Music Center; Composer Leonard Bernstein was a classmate at the Tanglewood Music Center in Massachusetts. After serving in World War II, Mr. Verrall worked in New York as the music editor for G. Schirmer, which publishes classical compositions. It was a plum job for an aspiring composer. "As far as I know, he never used his position there to spread his own music," said Bela Siki, a UW music professor emeritus. Mr. Verrall accepted a position on the UW faculty in 1948. He retired in 1973. He received various honors along the way, including a D.H. Lawrence Fellowship in 1964. During that year, he lived in Lawrence's former home in Taos, N.M.. As a teacher, he was well-liked by students, said McCabe, the UW School of Music director, who was a UW undergraduate during Mr. Verrall's tenure. "He was passionately committed to music," she said. "He lived and breathed music. That kind of teacher is just naturally inspiring. And his modest sense of self was endearing, especially to young people." His students, she said, "emerged with a great understanding in the way lines move and breathe in musical composition." Mr. Verrall was asked to compose a choral symphony as part of the Washington Centennial celebration in 1989. The subject of the piece was Chief Joseph, and it was performed at Whitman College in Walla Walla and New York's Carnegie Hall. It was his final major composition. Mr.Verrall, preceded in death by his wife, Margaret, last year, is survived by an older brother in Mississippi. No public memorial service will be held. Here is the full conversation . . . . . . . . .
Bruce Duffie: Thank you very much for speaking with me today. You are both composer and teacher. How do you divide your time in between those two enormous tasks? 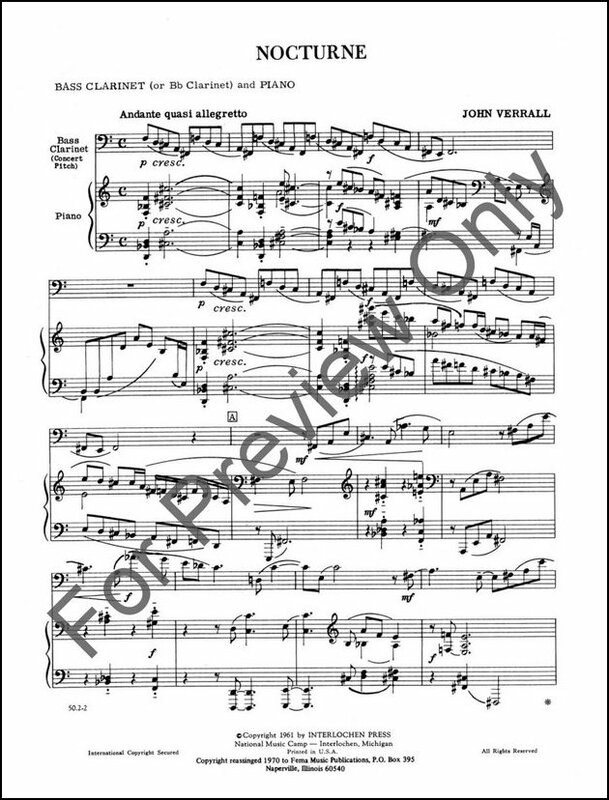 John Verrall: When I was quite young and decided on the career of a composer, I realized that for the profession, more time would be spent in teaching, and even though it is a very arduous task, it does have comparatively long periods of time free. So the two have fit together awfully well in my career. BD: How have the rigors of teaching changed over these many years? JV: The most notable change is that the students who came in later years were far better prepared than in the earlier years. They seem to have had many more opportunities, and this was particularly true in the field of composition. What composition teaching I’ve done has been very rewarding in recent years. Students like William Bolcom [shown at left in a photo with Verrall] came along and really were very rich and exciting. BD: Were they better technically, or also better musically? JV: I would say especially technically. It’s awfully hard to assess the musical worth of another person. It’s the technical skill that releases it, and I have certainly found them technically far better prepared in recent years. BD: You touch on the subject of evaluation. Who should evaluate music — is it the public, the critics, other composers or performers? JV: That’s a very ticklish question, which I’ve thought about a good deal. I believe in the end that is only the public that can evaluate music. Now it’s true that many compositions have been written which the public did not comprehend at the time, and then came to revere. Nevertheless, the composer’s main task is speaking to a public. It is the insight and light that he has had in the realm of music and theater that he is trying to transmit, and of course his audit is always the audience, the public. JV: No, very obviously not. There have been some very great composers whom the public originally overlooked and came later to really value. I’m thinking even of people like our own Edward MacDowell, who in recent years has become much more accepted as his true worth became apparent. It wasn’t really apparent at the time when he was writing. BD: Without mentioning any specific names, are there composers whose works are on the shelves that are still waiting to be discovered? JV: I don’t believe we really know that. There probably are. Goodness knows it was a long time before Schubert came to real public-light. It was only through works of men like Franz Liszt and Robert Schumann. They made it possible for the public to know what Schubert was like. So probably there are Schuberts around today who we simply have no means of contacting. JV: [Laughs] I’ve never had to really face that, although it’s true that a few of them are budding geniuses. Actually all one can say to him is, “Time can only tell!” I certainly cannot judge them, and in the end the message must rest upon what the public thinks and how well they can get through and break through to hear it. BD: In your thinking, where is music going today? JV: That question troubles me somewhat. I believe that after a long period and rather cloudy period, we’re going to be emerging into a deeper understanding of music. At present we must be trending back towards what I call the Romantic Style, and for the first time in a long while, many of the best composers in the world are now becoming aware of the fact that they do have a public to speak to. So they’re willing to cast their ideas in a language that can be more readily approached — after the language of music had become so complex that very few people could really understand it or appreciate it. So I believe that the trend is again back for a widely accepted and understood music, but it still has a long way to go. BD: Your music is perhaps more accessible than most of the same period. Did you write it to be accessible, or did you write it because that’s the way it simply had to be written? JV: That is an interesting question. Many years ago when I lived in Minneapolis, I became a good friend of Dimitri Mitropoulos, and I wrote a symphony for the Minneapolis Symphony [now the Minnesota Orchestra]. They premiered it, and it took them well over twenty hours of solid rehearsal to even be able to play the work, and when it was played it was still not very accessible. I admired the work and Mitropoulos admired the work, but it never had any success. At that time I made a promise to myself that I would make my music more available without sacrificing any of the meaning or any of the basic ideas. I gave a great deal of thought to how playable it was, and the result is now my works immediately are available to the performer. Since the performer can then relax, he is able to project many, many more of the basic ideas, which I wanted fresh. So this has been a very conscious effort on my part to be not only technically realistic but also to couch my ideas in meanings that would be able to reach through. BD: When you are writing, are you in control of the pencil, or is the pencil in control of you? JV: It is both ways. I have written works very, very rapidly without even putting the notes down but allowing them to unfold in myself. Some of my best movements have come on this way, so at that moment I am not in control. However, exactly as Brahms said when he wrote with the same method, after the work had been completed, one must become one’s own severest critic. At that time I did go through it to make sure that it is exactly as I would wish it, even though original idea might have come through as a hidden inspiration. BD: Then where is the balance between the inspiration and the technique? JV: That always has to be a matter of one’s own personal judgment, and it is that judgment which is only as effective as one’s own experience and mastery of technique. I fortunately have had very wonderful instruction in my life from great teachers, so I was given the tools for which to judge what I would realistically say. BD: What did you learn from Zoltán Kodály [pictured at left]? JV: Ha! He was a very curious teacher, and I did not learn technical skills from him. However, I believe he gave me something at that moment which was very needed — a deep belief in myself. He was very, very excited by his students’ work, and he supported them very, very warmly, so that I have always had the impression of him as a person who was eager to support me into seeing what I was heading for. Indeed, he was the person who arranged for the first publication of any of my music, the Cello Sonata. So that’s always been how I remembered him. I saw him many, many years later, and he followed my music with some interest. He still had that sense of believing in his students. It was a very great gift. BD: Do you believe in your students? BD: What advice do you have in general for young composers coming along today? JV: [Pauses a moment] Curiously enough, my general advice is not to look to composition as a way of making your living. Free yourself from that strain and find a way of fitting yourself in the world so that your composition can be completely free from that pressure. Most of my students have done quite well, and regard that very, very seriously. JV: Yes and no. Curiously enough, some of what you expect to be the best performances have not turned out to be so. For instance, the New York Philharmonic played a work of mine, and even though it was technically there, it was completely without understanding. It was not their fault but the conductor’s fault. I won’t name names. On the other hand, a little community orchestra with an unknown conductor gave me the most exciting and warm performances I’ve ever had. In general, the work that has pleased me most in performance has been my chamber music, like my seven quartets. I never could have hoped for a deeper understanding than was given by the Berkshire Quartet of my seven string quartets. That’s been very exciting to me. But the orchestra music I’ve not on the whole been very pleased. It seems to have been the area in which it is most difficult to get a really fine and exciting performance. One exception was the performance of The Radiant Bridge by a college orchestra with a very, very fine conductor but with relatively inexperienced orchestra. The music came through in the way which has been rare in my experience; very exciting. So in answer to your question, yes and no. Over the years I have often been thrilled over performances, and very often extremely disappointed with a lack of understanding with what the music is saying. BD: There’ve been a just a few recordings of your works. Are you pleased with those? JV: Yes, I am very pleased. The performances by Christopher Leuba of my horn music, and performances of my string quartets — two of them have been recorded — have been very, very fine and I’m proud of them. The one orchestra work which has recorded was The Dark Night of Saint John, and that again was extremely exciting and fine. BD: I have the Seventh Quartet. What is the other quartet that’s been recorded? JV: The String Quartet No 4, a recording by the University of Washington String Quartet a number of years ago in a Library Recordings record [shown at very top of this webpage]. BD: [After a brief discussion about upcoming and possible recording projects with the composer at the piano, we continued the interview.] Are you the ideal interpreter of your music? JV: No, I am not! I have brought out certain things in my music which are indeed authentic, but I’m not that fine a technician as a pianist. I am a concert pianist but I am under certain strains in performing my music, which doesn’t make it always as good as I would want it. I’m afraid I am more critical of myself than I am about others. BD: Are you perhaps a better composer because you are also a concert pianist? JV: I’m quite sure of this. Roy Harris and I often talk about this. He himself was not a performer on any instrument. He played a little bit of piano, and he often felt that this was a tremendous barrier. I think that he is right there, that it did prove, in his case, a hindrance to really express some of the wonderful ideas he has. Yes, I feel that my performance on piano helped my composing. I also became a moderately good cellist and an indifferent but still competent clarinetist. So these avenues of expression gave me a great deal of understanding of these instruments and what it feels like to play them, and that’s terribly important for a composer. BD: Tell me about the joys and sorrows about writing for the human voice. JV: [Laughs] That’s in a difficult area for me. I’ve written some song cycles which have received fairly wide performances, and opera, but I sing so badly myself that I never had the real feeling for the voice, and as a result I believe I underuse it when I write for it. I’ve enjoyed writing for voice, and I am looking forward to doing some more — particularly works for orchestra and choir — but this will always be an area which I feel uneasy because of my own lack of ability as a singer. BD: Well, I want to be sure to discuss with you a little bit about your opera. Now, there’s one record of opera and two chamber operas? JV: I have done two little chamber operas, and a full-length opera which was performed here by Stanley Chapple which is certainly my most important vocal line. It was a very exciting thing, but unfortunately it tied me up for well over a year, giving me no time to write anything else. That alone will be something which will give me thought before I wrote another major work for chorus. Stanley Chapple was born in 1900. He studied at the London Academy of Music where he was successively student, professor, Vice-principal and until 1936 principal. 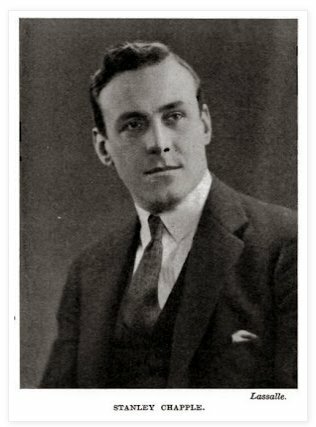 In 1920, at the age of nineteen, he was hired as director of the City of London School's opera, and he was also hired by the Aeolian Vocalion (record) Company as and piano accompanist. By 1924 he became music director, a position he held about 1929. A fascinating article by Chapple was published in the Gramophone in 1929. By 1922 he had been invited to appear as a guest conductor with the London Symphony Orchestra; and shortly after he was made head director, although I can find no mention of this in the history of the LSO publish a few years back. In 1930 the Berlin Philharmonic Orchestra invited Chapple to appear as guest conductor, and by the end of the decade he had become one of the most coveted guest conductors on the European Philharmonic circuit, travelling to Vienna, the Hague, and Warsaw. Chapple also frequently travelled to the USA making his first voyage I believe in August 1931. Chapple’s dream of going to Russia was ruined when war broke out in 1939. He was in Boston at the time when the tour to Russia had to be cancelled. Philip Kerr, Lord Lothian then British ambassador in Washington D.C. asked him to stay in America to ‘promote good will’. During the war, Chapple conducted the National Symphony in the Watergate concerts. In 1940, the director of the Boston Symphony opened a school for conductors and orchestra musicians in Massachusetts and made Chapple its director. Thus was born Tanglewood, a music academy that is still going strong today. Leonard Bernstein was Chapple's first student there. Chapple was invited to teach at the University of Washington and to be director of the University of Washington School of Music in 1948, when the active dean of the department heard him at Tanglewood. When the Seattle Symphony lost its conductor in 1950, Chapple took over and virtually remodeled Seattle's culture. He used the Symphony as a means of introducing Seattle to the opera, ballet, and the theater. During his tenure as conductor, he greatly enhanced the professional level of symphony players In 1962, Chapple became director of symphony and opera at the University of Washington, and when he retired in 1971, Mayor Wes Uhlman asked him to direct the Seattle Senior Symphony (Musicians Emeritus), a program providing ‘encouragement and help to former music-makers wishing to resume their participation in music-making’. For the next fourteen years Stanley Chapple was the much beloved conductor of Musicians Emeritus Symphony Orchestra and Thalia Symphony Orchestra. Chapple died in on June 21st, 1987, in Seattle. -- From a blog by "Jolyon50"
JV: I certainly must say that when I saw the performance of Wagner’s Ring done a few years ago, I paid a new respect to television as the medium for opera. It has certain things which become almost impossible on a stage and a live performance, so yes, to me it was very, very exciting done on television. BD: Do you feel that’s going to expand the audience for opera? JV: Oh, I believe it already has, yes. BD: Are there other things that we can do or should be doing to expand the concert and opera audiences these days? JV: That’s a hard question to answer. I sometimes think that the huge audiences of large modern concert halls are counter-productive because all the intimacy goes out. One thing television has for it is that the audience sits in their intimate surroundings. I believe that this direct contact of the audience with the music — even though in the case of television you can’t have contact with the performers — is very, very important, and that’s missing in the large modern concert halls. So I don’t know what can be done because many smaller performances in smaller halls are not feasible financially, even though they would still be the ideal way to hear music. An interesting idea made in that direction here in Seattle, for instance, is that a principal art gallery has a little concert hall that seats about 100 to 150 people. There, one can talk to the audience from the stage and feel that he has contact with every single member, and you can play the music and feel the interaction much more than you can in a large concert hall. So with things like that, possibly we might look to creating situations which are as intimate as possible, and I believe that is being done to a certain extent. Here the musicians union has taken a great responsibility in this direction. One of the concerts in the Seattle Art Gallery has been sponsored by them, and they have been remarkably successful. BD: Let me ask the big philosophical question. What is the ultimate purpose of music in society? JV: My own belief is that it is one of the principal mediums which reveal the primacy and significance of feelings. I believe that there is a reciprocal flow between the members of the audience, performers and ultimately the composer, particularly if the composer happens to be present to experience that flow. But I believe that flow of very deep feelings is dreadfully important. I believe that everyone is enriched who experiences these auras of feelings. JV: Yes, I am. I wasn’t a decade ago but, as I said, I feel there is a great change in music as performers and composers alike are beginning to realize the importance of this interaction between people and performers and composers. Many of the new composers are beginning to find this exciting and rewarding, and there is a tremendous increase in the number of performers to whom this is important. In the last decade I’ve heard some of the most exciting performances by young performers who have tremendous skill and are deeply involved in entering this area of profound feeling. BD: What advice do you have for audiences coming to hear, perhaps, the first performance of one of your works? JV: What I do when I have that opportunity is to beg them to remain completely open to the excitement of feeling new feelings, and allow themselves, without any judgment whatsoever, to hear what they play. Audiences are remarkably willing to do that. I’ve had some very warm receptions to my own music where audiences have understood. If they don’t judge, they will remain open and the music will reveal things to them, which may even surprise them. BD: As you approach your 80th birthday, what is perhaps the most surprising thing that you have noted in that time? JV: [Thinks a moment] I would say undoubtedly it’s the change in my belief of what music means to me. The music which I create has become more and more a wonderful bridge to keep understanding a person whom I certainly should have understood, but equally certainly didn’t understand. So I say that my attitude towards myself has been the biggest single change as I have matured. BD: How has this changed — from what to what? 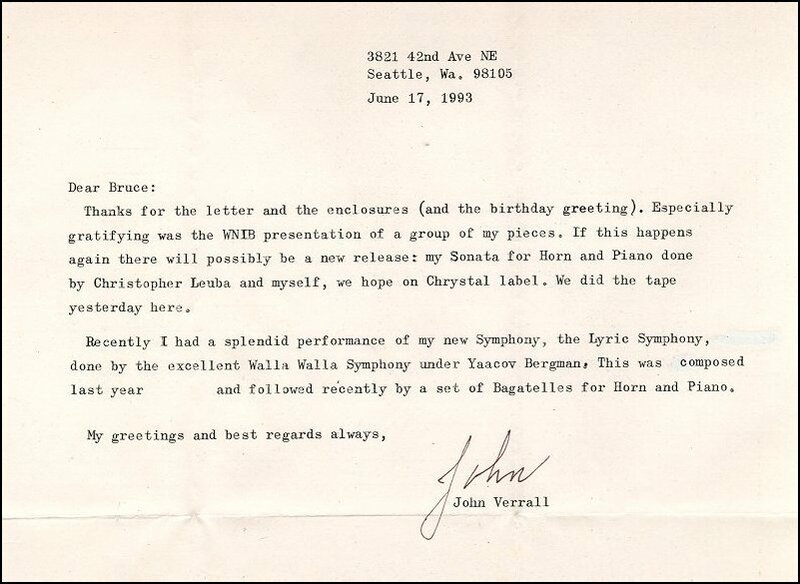 JV: I lost all sense of trying to impress others with my music, and entered an area in which I didn’t seek to delight myself, but in doing so by the mere fact that what came forth often surprised me. I have tried to remain completely open to this surprise as the inner self revealed itself in my music. In other words, I at last constructed my music, and more and more allowed it to unfold, and that is a hard thing to learn. I believe that every composer, great or not, has to come to that position, and those who have been able to express themselves — particularly Brahms and Robert Schumann — have spoken of that awareness of self, and their desire to be surprised. When one writes a phrase and it comes out, and you hear a little in-drawing of breath in the audience, if you also find that you are in the same position it’s a wonderful thrill to think of that existence, and allow it to flow through you without hindrance. BD: In your music or music in general, where’s the balance between the artistic achievement and any entertainment value? JV: Oh, that’s another one of those questions which I have considered. It’s very difficult to come to a final answer on that. Most of the great composers who have spoken on this subject have finally said that they often lacked the courage to express themselves simply. Brahms expressed himself in this area more than many composers, and plucked up the courage just to be simple — for instance, the Brahms Lullaby, or for Beethoven to write a Minuet in G, or Gluck to write a Dance of the Blessed Spirits. Those took a great deal of courage because you invariably put yourself in jeopardy when you express yourself that simply. You’re running the danger of being laughed at for being that simple, but where it comes off, the music of simplicity is unbeatable. It’s awfully hard to get that balance. I would say that invariably it’s a matter of personal courage. BD: That brings me to another favorite question. When you’re writing a piece of music, how do you know when you’ve finished? JV: [Laughs] I often wondered that. I noticed in one of my works — my First Sonata for Viola and Piano — I was writing it and all of a sudden I felt compelled to stop where I was in the middle of the second movement and just write the coda of the last movement. All of a sudden it came into my mind exactly how I wanted to do it. So I wrote that, and then I filled in the staves between. Something within you lets you know what you’re leading up to, and sometimes that which you are leading up to will come very, very early. That was also true in Radiant Bridge. When I started it, I never dreamed that I was going to end it the way I did, in utter peace and quietness. Once that idea comes to you, you see where you are going and then it’s inevitable. You can’t help it. A few of my other works, after a bit of doubt, have certainly been presented this way. I wrote the ending to the Seventh String Quartet quite early in the composition. In other words, I knew where it was going to lead. BD: Do you ever go back and revise your scores? Volfgangs Dārziņš was born in 25. September, 1906 in Riga. His father was the famous Latvian composer Emīls Dārziņš. He got the name Volfgangs in honor of Wolfgang Amadeus Mozart. He studied composition in the Latvian conservatory under Jāzeps Vītols and graduated in 1929. Later he continued his studies in conservatories and piano classes. He graduated in 1934. In 1933 Dārziņš participated in the VIII Latvian National song festival where several of his Latvian folk song arrangements were acclaimed. He also worked for several Latvian newspapers as a music critic. Overall he has published more than 1000 articles. During this time he also became known for his extensive research into Latvian folk music, mapping the distribution of many folksongs. In 1944 he emigrated to Germany and lived in the main Latvian displaced persons center at Esslingen. In 1950 he relocated to United States and until 1955 worked as a teacher in the Spokane conservatory. He also worked in the music school of the University of Washington, and was a conductor of several church choirs. Also he continued to perform as a pianist and made several concert tours through the country. His most notable performance was in Carnegie Hall, New York in 1954. Dārziņš died in Seattle, on 24 June 1962. Volfgangs Dārziņš is best known for his ability to include folk motives into classical music. He made more than 200 Latvian folk song arrangements for piano and voice, and also for symphonic orchestra. He has also written two piano concertos and several suites. He developed a strong original style, influenced to some degree by Bartók and Stravinsky. BD: Are there any works of yours which are still waiting to be performed, or have only been performed once and you wish to get them performed more? JV: Apart from my opera, no. Most of the works which I really am interested in have kept up, and every now and then I’m delighted to find that some others would want to do them. No, I can’t say I have any regrets. When a work is finished by a composer and it gets a very fine performance, you have a tendency to forget it and put it behind you. Later if it’s really is a work that merits enduring, people will find it. In the case of my opera I am always going to have a certain regret. It was performed and made a deep impression to have five successive performances, and then it was dropped. It’s never been done since, and sometimes I regret that because there are some moments which really I am pleased with. BD: Are there ever times when interpreters find things in your scores that you didn’t know you’d hidden there. JV: Yes, that is a surprising thing. When the New York Wind Quintet played my Second Serenade for Wind Instruments, they brought out several passages, and I was utterly astonished and delighted. It gave me a new insight into them. And on several occasions I have performers find things that surprised me. With one of my orchestral works, Portrait of St. Christopher, Stanley Chapple, the conductor here, performed that work and I was astonished at him finding some things towards the end which I really hadn’t known. He brought out things I had not realized could be brought out. One has to trust performers a great deal. If they’re really fine performers, quite frequently they’ll find ways of looking at a passage which you didn’t intend but which convince you. A work must always mold itself somewhat to the performer. A composer is unwise if he gets an idea that a work must go a specific way and doesn’t allow a really fine performer to find his way. Quite frequently they really do things which give meanings which are there, but which you are unaware of. BD: This of course pleases you very much? BD: I want to be sure and ask you about the carillon pieces. How did you come to write music for the carillon? JV: [Laughs] Yes, that was an area in which I never would have planned to be. I used to go practically every year to the University of Kansas to hear one or another of my works when they had their American Festival. During the course of the week in which they gave a performance, they always had a carillon concert at noon, and I used to enjoy that. So several of the performers asked me to write something! I said, “I don’t even know how to begin,” so I was told to look at it exactly as I’d look at the xylophone. It’s actually an alternative hand-technique. The idea intrigued me, and I went home and wrote the first of my carillon pieces. It was performed at that University of Kansas, and the performer liked it well enough that I wrote two others which have been played here and there. To my knowledge they have not been done too much, but it was merely a reaction into a request by a performer. Naturally they are hungry for new music. Very little is written by contemporary composers for the medium, and it’s rather an exciting medium, actually. BD: In the course of doing these interviews I’ve run into a couple people who have written music for carillon. JV: [Surprised] Is that right? Well, I’m glad about that. I imagine they’d have had exactly the same experience as I did — meeting somebody who wants the music. That’s always an exciting thing for a composer — to make contact with a given player who is eager for you to try his medium. BD: And being near an instrument too! That has helped. JV: That is right. I have heard some of his works on the Kansas carillon, which is a very fine one. Another good one in Springfield, Illinois, where my brother lives, and they have played my music there, too. That’s a very exciting carillon in a wonderful setting in the center of the park. BD: Recently I spoke with Mary Jeanne van Appledorn. She’s at Texas Tech and has written a number of pieces for carillon. JV: Oh, I didn’t know that. BD: You’ve also written some teaching books? JV: Yes, I have! 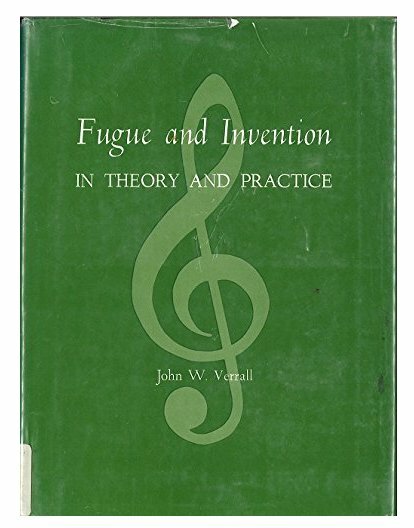 I’ve written two harmony books, and book on counterpoint [Fugue and Invention in Theory and Practice (1966), An Outline and Syllabus for Music Theory, and Basic Theory of Music (1970)]. The harmony books were based upon the fact that I could not find adequate texts for my students who had had no previous instruction in that field. There were certain areas in which they were very deficient, and my book was an attempt to resolve this pedagogical problem of fulfilling a missing technique where there was nothing to build upon. You had to start from the very beginning, and I was very eager to make it not only practical — so that it would result in an ability to write harmony expressively and meaningfully — but it also needed to be very available to an inexperienced person. The other book, on counterpoint, is a result of my long interest in teaching counterpoint, I was a student of the great contrapuntist, R.O. Morris in London, who had written a book which I admire very deeply. But his is a sixteenth century technique, and I realized in the more modern technique of counterpoint and fugue, there was no book written which really was practical from a composer’s standpoint. My book was an attempt to fill that need, and fortunately it’s been quite well received. It’s been widely used in England as well as the United States. All of those texts in the field of composition have been based upon my own teaching experience, and the need to serve very specific students. BD: Is there a great deal of difference between the music coming out of England and the music coming out of America these days? JV: It’s hard for me to answer that question. Back in the 1930s, 40s, and 50s, I was much more familiar with the music that was coming out of England. At the time of Walton and Britten I found that quite exciting, and I found myself very sympathetic towards it. Since I’ve had my own instructions in England — I was three years at the Royal College of Music in London — I had a feeling for their music and for their ideas. What has happened since, I don’t know. I have not been able to keep up with it, so I couldn’t really answer. BD: Then let me turn the question around. Is there something peculiarly American about music of American composers? JV: In some instances, I think yes, there is. Actually it goes right back to MacDowell himself. Now it’s often said that MacDowell could never have stated his Germanic heritage, but that’s not entirely true in the sense of what he had to say. I find something particularly American, a certain simplicity and naivety towards the ideas which he wanted to express in music. I believe that MacDowell is going to come gradually to be accepted as one of the beginners of what we can call American music. Shortly thereafter came the period of Copland and Roy Harris and Ross Finney and other composers of that type. I find them quite remarkably American, if you will. I find the simplicity and directness, which I found also in early models such as MacDowell. William Bolcom is another example. I think he’s a very American composer, and the materials that he chooses are not only just American jazz idioms, but again that simplicity and directness which is something we should give a lot more thought to. 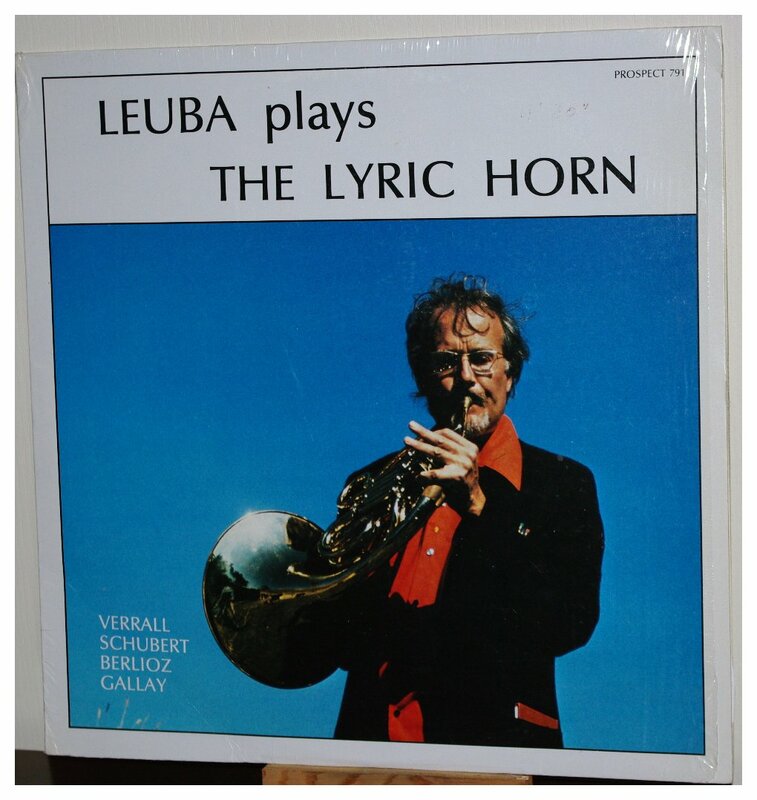 BD: Tell me about your Fantasy Sonata for Horn and Piano, Eusebius Remembered. JV: This is a work which has a big personal meaning to me. Eusebius refers to one side of Robert Schumann’s nature. Robert Schumann wrote his first several works under the duo titles Eusebius and Florestan. Eusebius was a deep, personal feeling inside of his nature, and I’ve always felt very close to Robert Schumann. He’s a composer that meant more to me perhaps than any of the other composers, and I suddenly had a desire to use a few short phrases from some of his later works. I conceived this sonata for piano and horn, based upon four or five little phrases from late works like the Forest Sketches and even moments from his three piano works. I would start with the phrases as he gave them, but in my own harmonization, and allow them to stand as if they had been my own idea. Otherwise I commented on his ideas. This is an old, old technique which is not been used in the twentieth century. For instance, in writing his Third Piano Concerto, Beethoven had just heard a sonata by a very fine young composer of his day, Bernhard Romberg (1767-1841), and there’s one phrase which forms the second theme of the Third Concerto which is directly lifted from Romberg. The whole eight measures are exactly as Romberg gave it, but then Beethoven allows it to unfold in his own way. That is a curious and wonderful technique in which composers paid respect to each other — by taking a little phrase from another composer, and allowing yourself to use it in your own technique. So you see this remembered as I based my ideas upon the tunes of Robert Schumann, which then unfold themselves as mine. BD: You’re the pianist on that recording [shown at the top of the box below]? JV: I am the pianist, that’s right! Chrisopher Leuba is known as much for his pedagogical writing and lecturing and his many prominent students as for his distinguished and varied playing career. He has taught at the Aspen and Chautauqua festivals, Portland State University, and most notably the University of Washington in Seattle. His publications include A Study of Musical Intonation (highly regarded as a seminal work for teaching the principles of just intonation to musicians), Rules of the Game, Phrasing Concepts, and Dexterity Drills (all used by brass teachers around the country). Additional indication of Chris's playing range is shown by his having performed fourteen complete Wagner Ring cycles as second horn in the Seattle Opera, and appeared with Sarah Vaughn, Quincy Jones, and the Bill Russo big band. 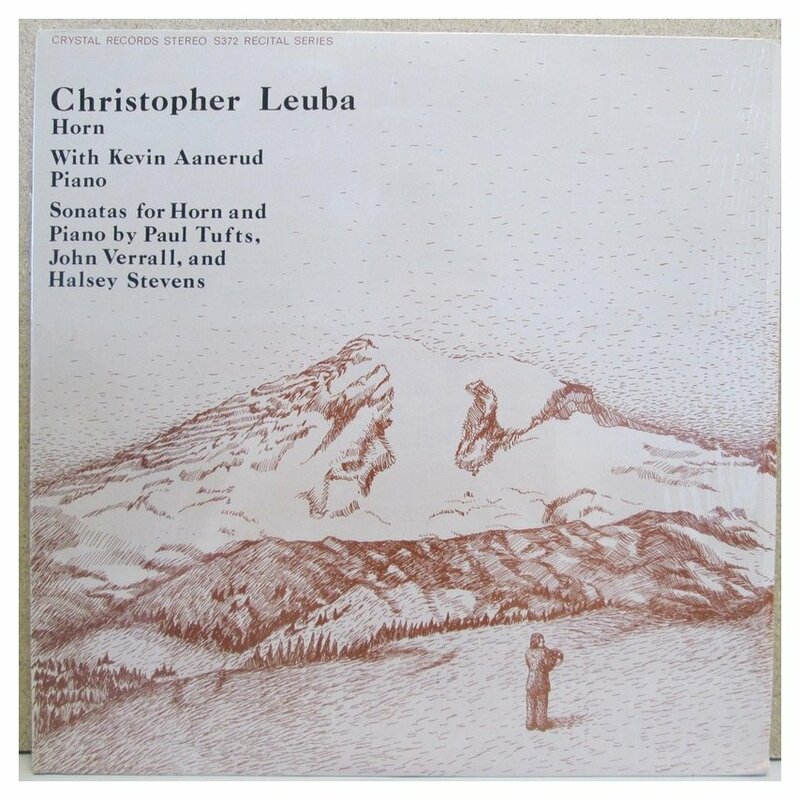 While teaching at the University of Washington (1968-1979), Chris was a member of the faculty wind quintet, Soni Ventorum, and participated in the university's Contemporary Group. Chris was principal horn of the Portland Opera in Portland OR for 23 years and continues to participate in International Horn Society symposiums. He became an Honorary Member of the IHS in 2007. BD: Next we’ve got The Dark Night of Saint John. JV: That is based on the great mediaeval poem. I’ve always been very, very interested in the meditative state, and in meditation in general. In this particular work, I ventured to capture some of the moods which he passes through when he becomes very deeply introspective in meditation. It was an experimental work. I like it very much, but in general conductors haven’t been keen in taking it up. I was very, very pleased when the conductor, Franz Bibo (1922-1986) did a performance [with the American Symphony Orchestra League Institute Orchestra of 1959-60]. He decided to take this work up when we were there for some summer sessions, and he had a deep understanding of it. It’s a chamber orchestra work which I’m seeking to create moods and colors, rather than literal meanings. BD: I’ve enjoyed all the works you have sent me very, very much. JV: Well, I’m glad. I was wondering. I went among all my works that I’d chosen, and re-chose in order to put together different works that showed completely different sides of my compositions. The Dark Night of Saint John is in a certain style, and I don’t allow it out too often. I have recently done so in the new piano sonata. They have brooding, very deeply personal meaning. The reason I don’t do them very often is because I think it’s invariably a little harder for an audience, or anyone other than myself, to contact that meaning, and you’re running far too great a risk of being misunderstood. BD: Another work you sent is Radiant Bridge. Conductor, David André, a California native, commenced his music studies at age five receiving his baccalaureate degree from San Francisco State University and his master’s and doctorate degrees from the University of Washington. A contrabassist with the Seattle Symphony, he served as principal chairman of that section in the San Jose Symphony, chairman of the Cabrillo College music department, and assistant conductor for the internationally acclaimed Cabrillo Music Festival. A finalist in the Georg Solti Conducting Competition in 1972, he then became music director for the symphonies of Everett (1974-77), Maui (1984-85), and Port Angeles (1973-84), which he toured through China in 1985. He became music director of the Tulare County Symphony in 1985, and in 1992 was designated “An American Cultural Specialist” by the U.S. State Department. Since that time André has been guest conducting many of the major symphony orchestras of the world every year, including those in Moscow, Vienna, St. Petersburg, Prague, Kazan, Budapest, Kiev, Minsk, Sofia, and many others. Much of his guest appearances have also found him in Central America, Mexico, Canada, and of course, the United States. He has served as chief conductor for the Alicanti Music Festival in Spain and the Arcady Music Festival in Maine, was engaged by the U.S. State Department to conduct the National Symphony of the Ukraine for the 10th anniversary celebration of U.S. diplomatic relations with the former Soviet States, and was invited by the Russian Ministry of Culture to be the first American to conduct the Russian National Folk Orchestra. JV: Radiant Bridge was the result of a close contact of a former graduate student of mine, David André, who became a conductor of the Port Angeles Symphony. We talked together when he wanted to commission a work which was of particularly pertinent meaning to the centennial of the founding of the Washington Territory. So I wrote this work based upon a series of Indian chants which came from the Puget Sound Indians. I wanted to have, as I call it, a bridge between two cultures — the Indian culture and the white culture — both of whom have played a great part in the history of this area. I also wanted to have a bridge between the last century, when the Indians created so many of these chants, and our present country, as well as what I call a bridge between the outer and the inner for every man. So I entitled the work Radiant Bridge for that reason. Fortunately, in the original performance, tribes of Puget Sound sent representatives and loaned some Indian drums to be used in the performance. It was very exciting to have a delegation of Indians there, and to have them personally come up to me and say that they recognized their chants. I was so afraid I had hidden them in my contemporary harmony and they would not be recognizable. But they did recognize them, so it was a very exciting performance for me. About a year later, another performance was done with the University of Washington Orchestra led by Samuel Krachmalnick. He likes this work very much, and he gave me a performance such as I rarely have had. It’s quite splendid, and he certainly understood the work and entered the very depth of it. Samuel Krachmalnick (January 9, 1926, St. Louis – April 1, 2005, Burbank, California) was an American conductor and music educator. He first came to prominence as a conductor on Broadway during the 1950s, notably earning a Tony Award nomination for his work as the music director of the original production of Leonard Bernstein's Candide. He went on to work as a busy conductor of operas and symphony orchestras internationally during the 1960s and 1970s. He was particularly active in New York City where he held conducting posts with the American Ballet Theatre, the Harkness Ballet, the Metropolitan Opera, and the New York City Opera. His later career was primarily devoted to teaching on the music faculties of the University of Washington and the University of California, Los Angeles. Born in St. Louis, Krachmalnick was a child prodigy and gave his first piano recital at the age of 8. He earned degrees from the Eastman School of Music and the Juilliard School; attending both schools on full scholarships. At Eastman he studied piano, French horn and music theory, and at Juilliard he studied conducting with Jean Morel. After graduating from Juilliard in 1952, he spent two more years at the school working as Morel's teaching fellow. 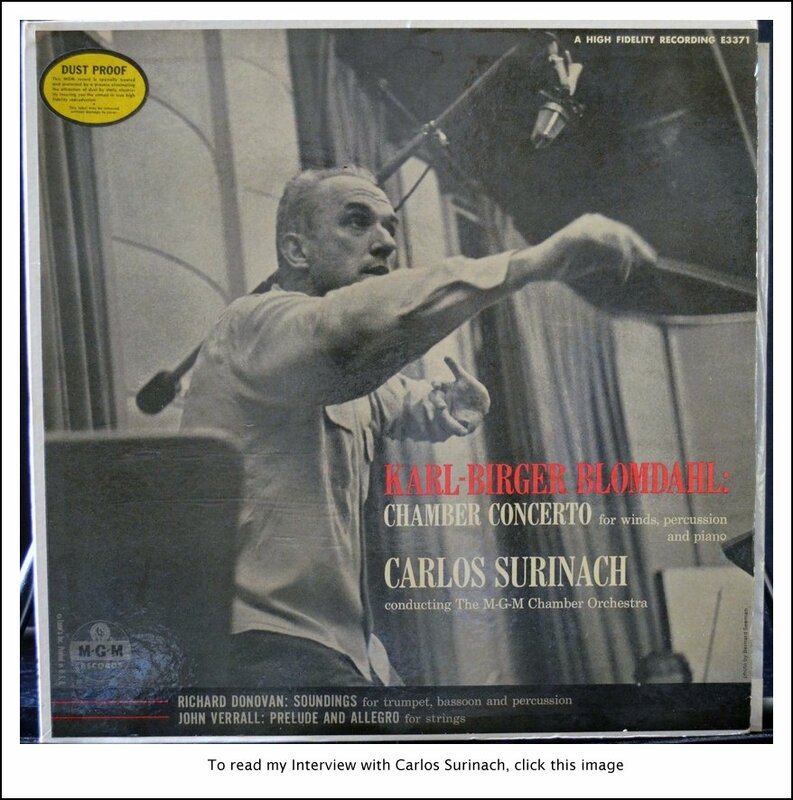 He also studied conducting with Leonard Bernstein at Tanglewood. While at Juilliard, Krachmalnick began conducting concerts under the auspices of the International Society for Contemporary Music in 1951. In 1954 he won the Tanglewood Music Center's inaugural Koussevitsky Memorial Prize in conducting which was presented to him by Aaron Copland. That same year he served as associate music director under Thomas Schippers for the original Broadway production of Gian Carlo Menotti's The Saint of Bleecker Street; often serving as conductor in the pit during the production's run. It was through this production that he met his wife of 50 years, mezzo-soprano Gloria Lane, who portrayed the role of Desideria. In 1955 Krachmalnick conducted the world premiere of Marc Blitzstein's opera Reuben, Reuben in Boston. He returned to Broadway in 1956 to serve as music director and conductor for the original production of Bernstein's Candide for which he received a Tony Award nomination for Best Conductor and Musical Director in 1957. He also conducted the original Broadway cast recording of the work. In 1959 he returned to Broadway one last time to serve as music director for the short lived musical Happy Town. 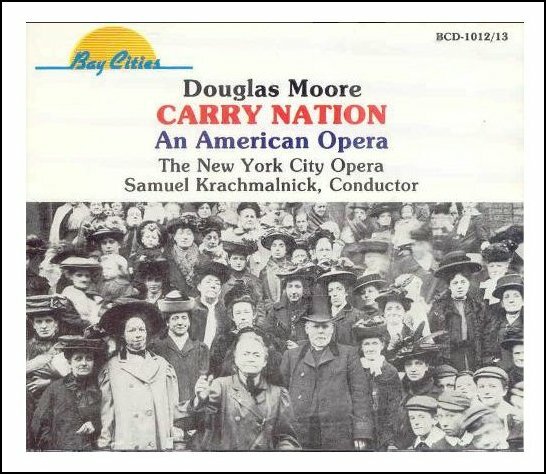 Krachmalnick also held conducting posts with the American Ballet Theatre, the Boston Arts Festival, the Harkness Ballet, the Metropolitan Opera, the New York City Opera, the Symphony of the Air, and the Zürich Opera House. He also worked widely as a guest conductor at opera houses internationally, making appearances with the Cleveland Orchestra, Croatian National Theatre in Zagreb, the Teatro Carlo Felice, the Teatro dell'Opera di Roma, the Teatro di San Carlo, and the Teatro Regio di Turino among others. 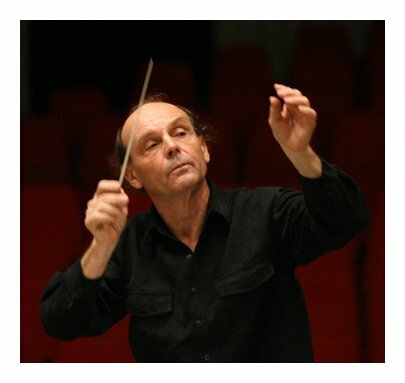 He also worked as a guest conductor with the Helsinki Philharmonic Orchestra, the National Symphony Orchestra, the Oslo Philharmonic, the Rotterdam Philharmonic Orchestra, Toronto Symphony Orchestra, Warsaw Philharmonic Orchestra, and the Zurich Symphony Orchestra among others. From 1971 to 1976 Krachmalnick served on the music faculty at the University of Washington where he directed the university symphony orchestra. 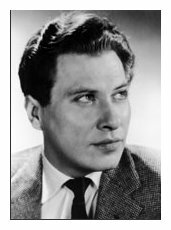 In 1974 he conducted a UW student production of Carlisle Floyd's Markheim which was recorded and Broadcast nationally on PBS. For his work he won three Emmy Awards. From 1976 to 1991 Krachmalnick served as director of the opera theater program and the symphony orchestra at the University of California, Los Angeles. While there he played an instrumental role in shifting the school's focus from training music teachers to a more performance oriented program. Some of the student productions he conducted at UCLA were the musicals Leave It to Jane and The Boys from Syracuse, and the opera Four Saints in Three Acts by Virgil Thomson. He ended his career at UCLA with a lauded production of Candide in 1991. After leaving UCLA he continued to teach privately. Krachmalnick appeared as an actor in two films in small roles, Die Laughing (1980) and Brain Donors (1992). He and his wife Gloria Lane lived in Studio City, Los Angeles. They had two children, Magda and Robert. He died of a heart attack at the age of 79. BD: What is next on the calendar for you? JV: I’ve finished a work for the Port Angeles Symphony that’ll be done next season. There is another commission for another fine orchestra in the States, but that still pretty ephemeral yet. The one with the Port Angeles is definitely decided upon and the date has been set. It’s a short symphonic poem which I think is quite colorful. BD: When you receive commissions, how do you decide whether you will accept or decline them? JV: I refuse few things, but it depends entirely upon whether they give me complete freedom, because I can’t say what it’s going to turn out to be. For instance, they could never dictate a title or the content, or even the length! JV: I don’t know if it would be an eight-minute work or a twenty-two-minute work. If they give me complete freedom I will turn out the best work I can. In general I don’t like commissions, and I avoid them because it puts a certain strain on the composer which I find quite soul destroying. But in the case of people like the present conductor of the Port Angeles Symphony, I find myself sympathetic enough to him, and he has proved himself understanding of my music. I don’t feel that strain, therefore I will accept a commission in a case like that. BD: I hope it turns out very well. I certainly appreciate you spending the time with me this afternoon. JV: Oh, I’ve enjoyed it. Interviewing for me has been a difficult thing, but I found your questions provocative enough, and I found you so easy to talk to that I suddenly realized I was letting myself go! I find that very difficult with most interviewers, but you have a gift for it, and I thank you. BD: [Very pleased] Well, thank you very much for saying so. I do appreciate it, and I look forward to playing your music, and doing a special program with parts of this interview for your 80th birthday. JV: Well, that would be wonderful! I appreciate it very much. This conversation was recorded on the telephone on March 12, 1988. Portions were broadcast on WNIB three months later, and again in 1993 and 1998. This transcription was made in 2016, and posted on this website at that time. My thanks to British soprano Una Barry for her help in preparing this website presentation.